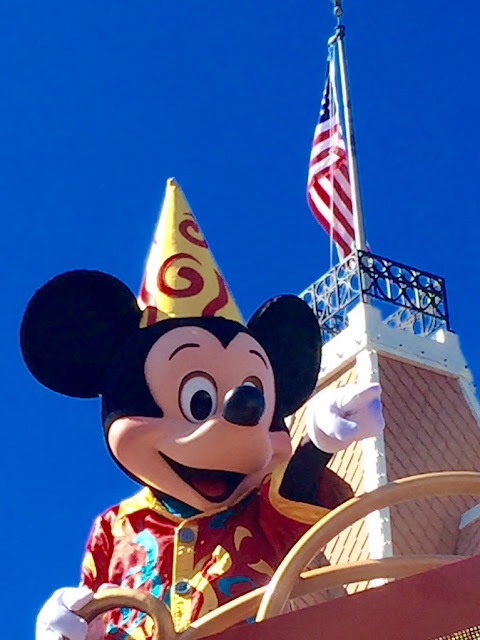 Mickey makes many appearances around Walt Disney World each and every day. Yesterday, I caught him coming down Main Street, USA after performing in the Move It, Shake It, Dance & Play It Street Party at the Magic Kingdom. I like how the flag was part of this shot. There isn't anything much more American than Mickey Mouse.